Thank you sharing the idea and the pattern. I've printed it and will be having each of us (there are 5) fill it out. Love it! What a great idea! Love that it's so simple yet will mean so much in the future. Can't wait to read what my family writes on each of their petals. Have a great weekend, Ali. Thank you for sharing Simon's assignment. It is a wonderful thing to share with your family on a friday night. You continue to inspire me with your weekend ideas. It is the simple things in life that help you remember all of our blessings. Have a wonderful weekend!!!! What a great family night idea. Thanks for the freebie! Yes! thanks for that reminder about the daisy GS petals...I have a third year brownie now. Love that idea. Ali, thanks for the very cute download. I love this idea so much. It's just me and my husband right now but maybe I'll add one for our dog too! 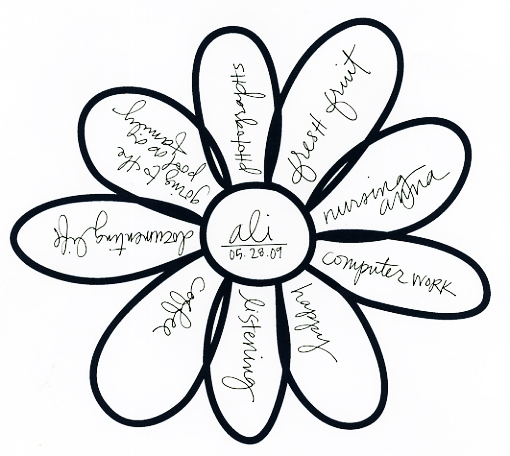 Thanks Ali, I am so excited to do this! What a dear guy, I love!" loves sister and big brother...."
It is something he is really working on at school...accepting not being first in line everyday, accepting directions from teachers, etc. Thank you for sharing this cool idea. My family will be playing along. I am considering sizing them in such a way that I could make a page with our four flowers and a picture of us. Looking forward to it. Ali, I love "big brother" and "love sister" . Priceless! So very AWESOME!!!! I love all the treasures that come home from school at the end of the year. Ali, what a cute idea. Thanks for the gift. 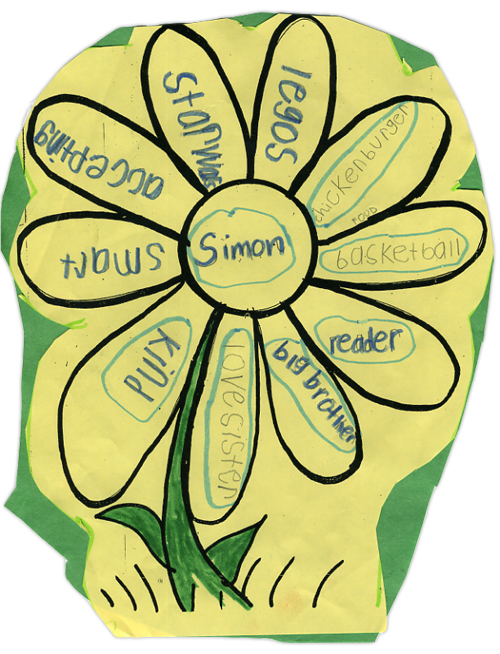 I love how Simon has lovesister on his petal. Anna is so lucky! This is going to be a great idea for Father's Day. 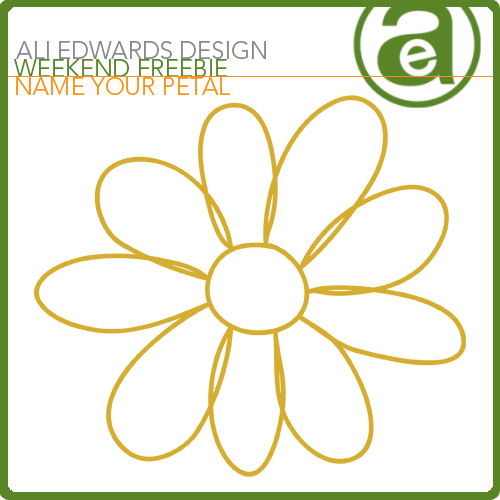 I'm going to have each child fill out a flower for Grandpa! Thank you for sharing! I love the petal that says "accepting". How insightful!!! Thanks Ali for a wonderful idea. I wasn't sure how this would go over after dinner, but I now have 5 flowers ---husband, son aged 21, son aged 17 and shih tzu aged 8!!!! Everyone was so into this activity and sat around the table laughing and having fun revealing their petals. I am going to scan them and put together a layout. What a keeper!! !